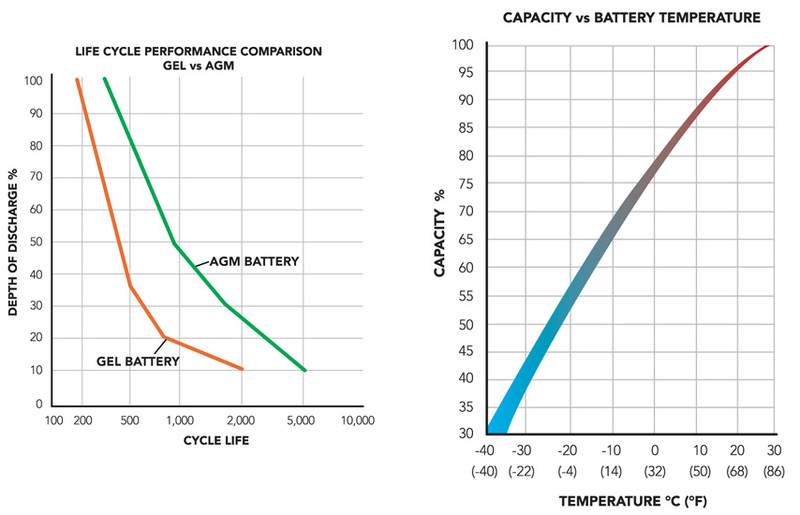 PVX-1040T is a common 12 volt renewable energy battery for solar, wind and back up energy storage. Preferred for its compact 27 battery size and deep cycling capacity, the PVX-1040T features clean, sustainable, efficient operation. 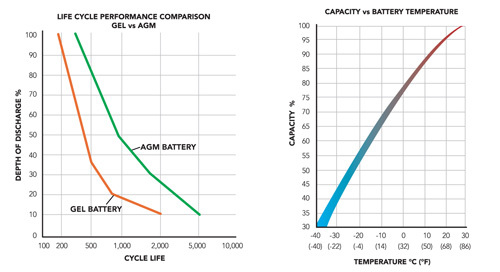 Since 1987, Sun Xtender has been designing valve regulated lead acid batteries with AGM construction (VRLA-AGM).The non-spillable construction allows the battery to be used upright or on its end or side and the maintenance free AGM design means no water replenishment ever. 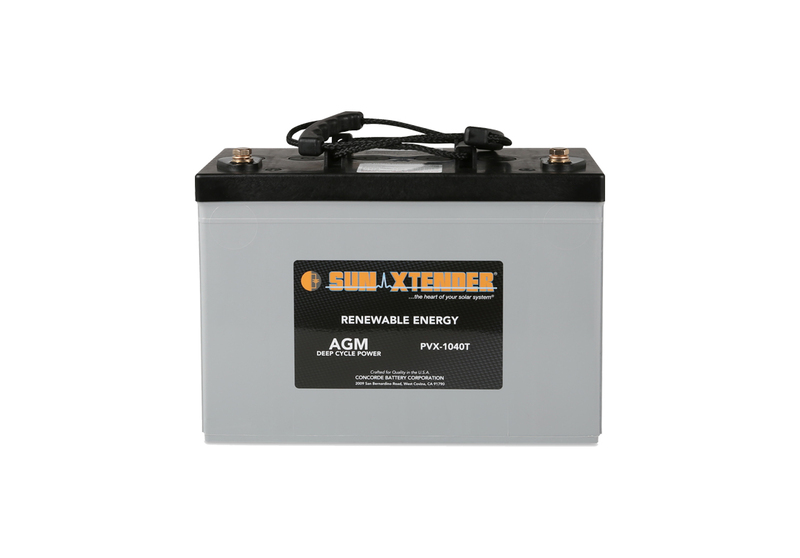 The Sun Xtender battery product line features proprietary PolyGuard® Microporous Polyethylene Separators, shielding the positive plates against shorting, shock or vibration. 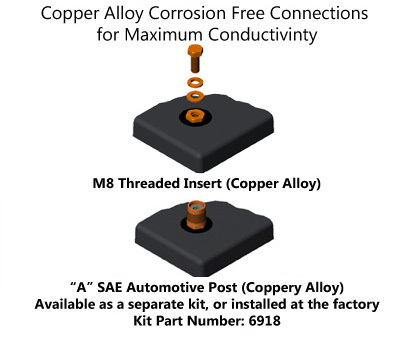 No other manufacturer offers this dual layer insulation protection feature. 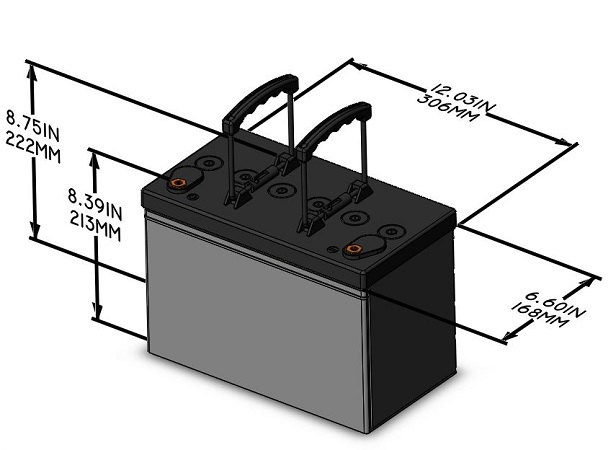 See the Sun Xtender Battery Technical Manual for details on applications and specifications. This Sun Xtender solar battery document is also available for download and printing. PVX-1040T is used for applications such as Street & Bus Stop Lighting, Cathodic Protection, Grid Tied & Off Grid Homes, 2-Way Radio Repeaters, SCADA, Navigational Aids, Medical Refrigeration Clinics & Power for Remote Areas / Developing Nations.